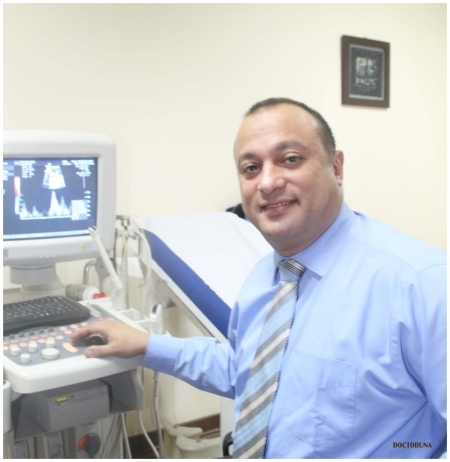 Dr.Ayman Taher is a consultant Obstetrician and Gynaecologist with more than 17 years of work experience in the field, ten of which were in the UK. 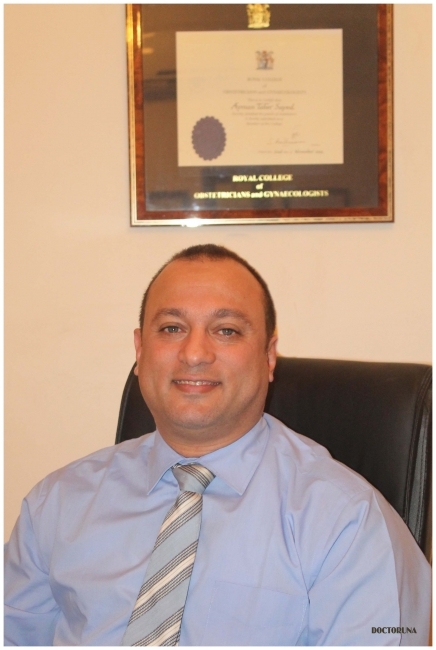 Dr.Taher graduated from the University of Ain Shams and then pursued his career as an Ob-Gyn doctor in the UK, he is a member of the Royal Faculty of Obstetricians & Gynaecologists, completed a Diploma of the Faculty of Family Planning (DFFP) and the CCST (qualification for consultantship in the UK). Dr.Taher also received advanced training in Urogynaecology and Benign Vaginal Surgery; he is highly experienced in urogynaecology, general gynaecology and general obstetrics, as well as, management of high-risk pregnancy. Dr.Taher was appointed in various teaching positions in the UK and constantly strives to achieve the best care for his patients. The Place of Ultrasound in urogynaecology clinics, Mahran M, Sayed A; The Journal of Gynaecological archieves 2009. Sayed A, Moran P; Acute colonic pseudo-obstruction after caesarean section. Gynecological Surgery. October 2006. Online publication. Sayed A, Tawfeek S, Afifi R; Post-Hysterectomy vault prolapse (2005) RCOG DIALOG overview article, disk 9, RCOG. Sayed A, Affifi R; Post-hysterectomy vaginal vault prolapse. The Obstetrician and the Gyneacologist, 2005;7:89-97, RCOG. Co-investigator in the multicentre European Vipro-mesh trial for recurrent vaginal prolapse. Co-investigator in the Duloxetine trial for the management of stress urinary incontinence.